There are plenty of ways to save space with storage, but what about getting creative when it comes to shelving. Gone are the days when homeowners are happy just popping to a shop and buying a standard white wooden shelf, now we are being far more adventurous by transforming everyday items into stunning shelves. And with Gyproc Habito, you can hang heavier items with less hassle so there’s much more flexibility when it comes to materials. 5. 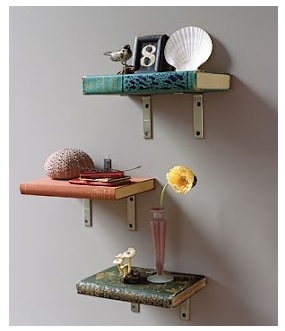 Perfect for a teenage – skater shelves! http://www.instructables.com/id/Skateboard-Bookshelf/There are plenty of ‘how to’ guides online so there’s no excuse for boring storage anymore!